Outdoor sport surfaces are exposed to extreme conditions the whole year. Sunlight, fluctuating temperatures, moisture, frost and pollution all require extremely resilient solutions. Long years of wear and tear through events and games also demand even more stringent standards for both material and installation. The seams and edges of outdoor sports surfaces are the main trouble spots. This is why the substrate, adhesive and surface covering need to be perfectly coordinated since only this can guarantee a permanently safe and secure bond. Whether building a sports area, a light athletics facility or tennis courts: STAUF outdoor adhesives are weather resistant, extremely adhesive and perfectly coordinated. They are based on long research and development work in the sports surfacing sector as well as more than six generations of experience in manufacturing adhesives. 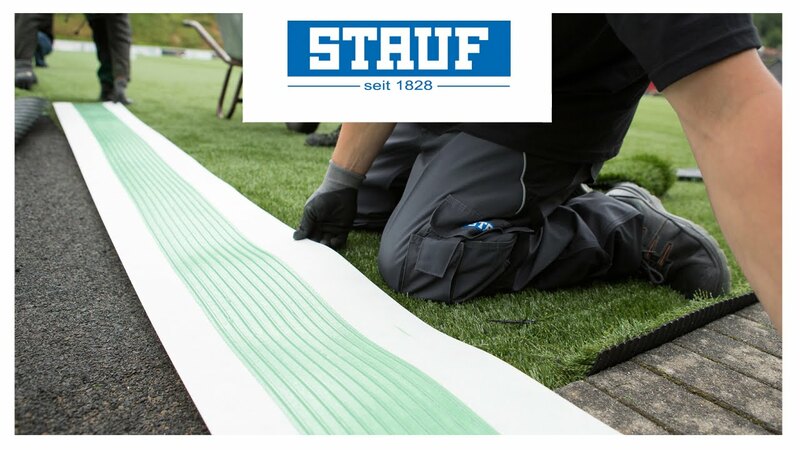 If you opt for STAUF outdoor adhesive when building your sports facility, you will have chosen the perfect solution for withstanding the most demanding use.